I was flipping through the channels earlier this week and caught a segment of MasterChef Canada winner Chef Mary Berg cooking up some DIY Oscar party popcorn recipes and stopped in my tracks when I heard the word curry! 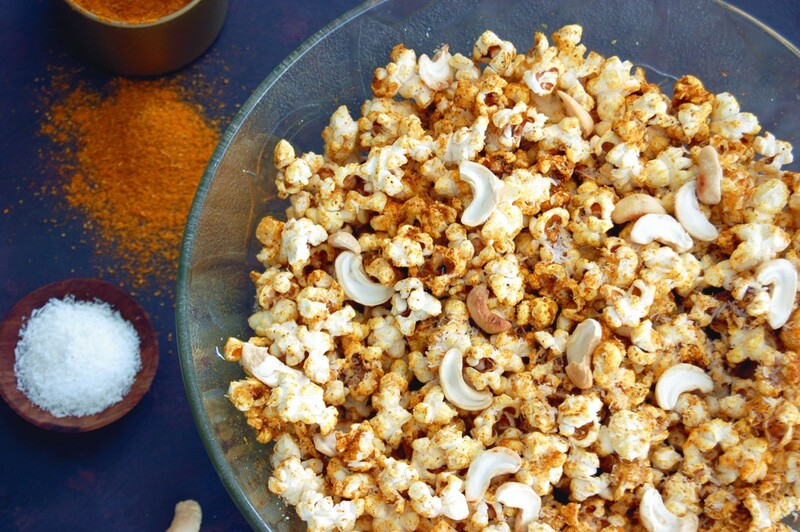 The recipe that caught my attention was a Curried Cashew Popcorn which is a clever tropical-ish sweet and salty popcorn recipe that had me saying, 'I HAVE to make this!' And so I did. This recipe is a little different than our Indian Spiced Popcorn recipe which has a bit more heat and no sweetness. 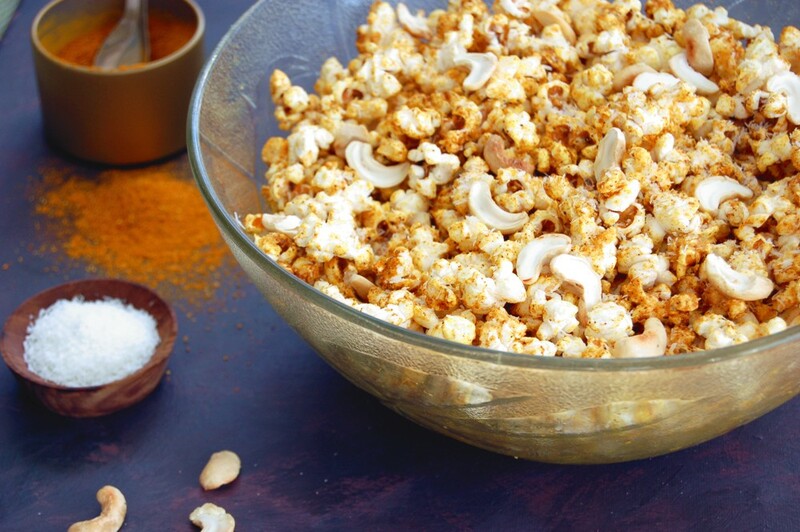 So easy to make, this is a popcorn flavour for the one who likes a depth of flavour, nuttiness and texture from the cashews and the salty-sweet combo. Best of all, there's a load of health beneficial spices especially from the turmeric found in the curry powder! Isn't that a bonus?! I slightly changed the recipe as I added some of Arvinda's Garam Masala for some extra aromatic spices, so if that's available in your pantry you can add that in. I also added more Arvinda's Curry Powder to amp up the flavour. And lastly, I added a bit of coconut for some extra texture and flavour and used coconut oil as my choice of fat. 1) In a small saucepan, melt coconut oil on medium-low heat. Stir in honey until smooth. 2) Place popcorn in a large bowl. Pour over coconut oil and honey mixture. Toss well. 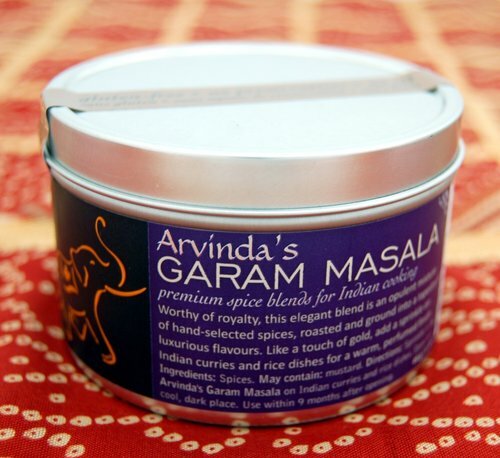 3) Sprinkle in ARVINDA'S CURRY POWDER, sea salt, ARVINDA'S GARAM MASALA and cashews. Toss well and garnish with coconut. Enjoy!